For some in the Leave campaign, the right to freedom of movement enshrined in the European Union was a bitter pill to swallow, because it let them – outsiders – into our community without giving control over where they went and how many came. Outsiders put pressure on local services, they said. They can outcompete local people for jobs and, in some cases, claim benefits from systems they have not paid into. Membership of the EU made the UK financially liable for people it did not know. These concerns are perfectly natural as is the right to demand assurances against abuses of the system. But the English have long used the same ideas against their own people to protect local interests at the expense of rights to internal migration. A right to move to London, or Blackpool, or Swansea is taken for granted. But for doing just that, throughout history, tens of thousands of English people were rounded up, publicly whipped, subject to hard labour and thrown on a cart to be physically expelled whence they came. This was the punishment for seeking poverty relief outside of your own parish. This was the “vagrancy” system that had been established to protect local resources from benefits tourism. The idea of nationalism took centuries to develop. In medieval times, England was a land of localism in which people knew and experienced the world from ground level – church spires on the horizon, rather than the familiar satellite outline of our islands that we now know so well. Across the country, thousands of these parish-based communities lived fairly local lives. 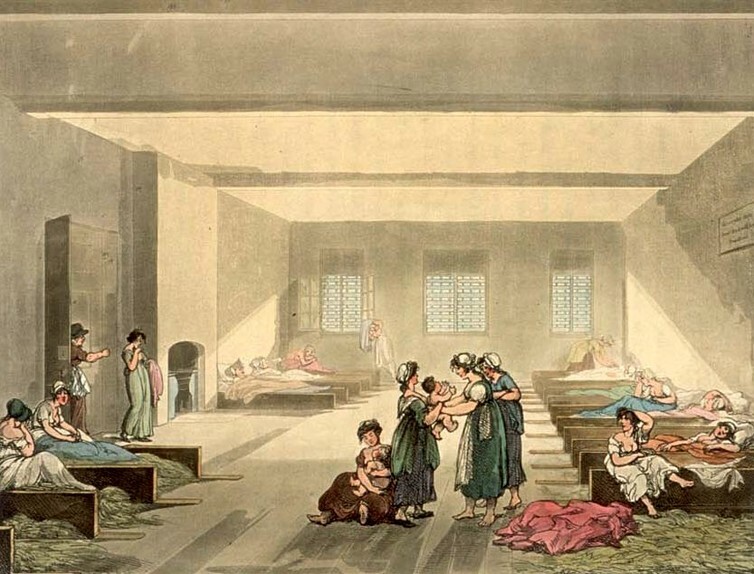 A longstanding medieval tradition of charity was the only security available to the poor. But this charity came under threat when Henry VIII initiated the Protestant Reformation in the 1530s. A byproduct of the Reformation was the abolition of purgatory in the Protestant religion. Catholics had long been told that they could expedite their passage through this waiting room of Heaven by making donations to the church, which were (at least in part) used to support the local poor. Henry’s Protestant ministers noted that there was no basis for purgatory in scripture, and so it was purged. With it went the donations, resulting in a decline in charitable giving in the newly Protestant nation. 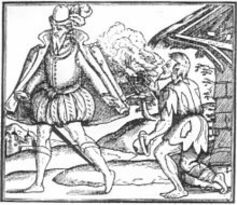 In good times this may not have been a significant threat, but a series of poor harvests in the 1590s brought the people to their knees. Henry’s daughter, Elizabeth I tried to address the problem through a national system of obligatory charity that focused on local support for local people. In an age without mass communication, locally administered poor relief was eminently practical. This Elizabethan Poor Law (1601) was the basis of charity and provision for the poor for centuries thereafter. Like today, locals worried about having to support outsiders. To prevent abuse, the Laws of Settlement (1662) were passed to give every person in the country a single parish of legal settlement – that is, one parish where they could go to request aid in hard times. This was good protection for popular migrant destinations such as London where local leaders worried they would be ruined if no limits were imposed on their obligations. The system also meant that people were simultaneously protected – because they had somewhere to turn – and penalised because they only had one place to turn. Fine if you were happy with your place of settlement – but for many, it added a risk if you decided to move. If times got tough, the lash and the cart awaited. Settlement was determined firstly by your place of birth. But it was also possible to adopt a new settlement, just as today one can change nationalities. Women adopted the settlement of their husband upon marriage. This could be an advantage if she had come from afar because it legally tied her to her new home. But it was also a significant risk if his settlement was on the other side of the country because she could be forced to return there if she fell into poverty, despite having no friends to turn to once she arrived. One could also obtain a new settlement by demonstrating a certain level of wealth or paying local taxes – even in the past, money opened doors for migrants. Under the laws of settlement, a year’s service was one of the ways you could gain legal settlement in your new home, and the most likely route for a young woman. But the first year of employment in a new area was tenuous – getting fired or having one’s employer die before that period expired meant servants were particularly vulnerable. In the interest of keeping their own taxes low, it was not uncommon for employers to hire on contracts of one year less a day to prevent their staff from becoming eligible locally for relief. The last internal migrants to be whipped and expelled suffered their humiliating punishments in the 1790s. England in the middle ages would have thought it preposterous to allow unfettered internal migration. So how have we come to see it as natural and self-evident? I suspect it has been forgotten that it was ever any different. By contrast, the EU’s problem regarding freedom of movement is that it exists in living memory: too many people recall the day that right came into being. Perhaps it is no coincidence that as the centenary of WWI is commemorated, we are also seeing a revitalisation of British nationalism. And so the historical conditions were recently set for enough voters to choose to define the boundaries of the community as Britain rather than Europe. Perhaps Britain was not quite ready for Europe. This is not entirely surprising: it took hundreds of years for it to accept being British.